Award-winning author Lee Wardlaw's books have been honored by such prestigious groups as the American Library Association and the Children's Book Council. 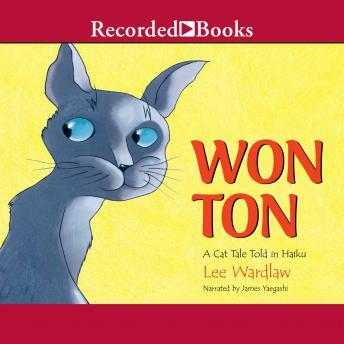 Using a Japanese form of short poetry that concentrates on human-like foibles, Won Ton follows a shelter cat as he gets a new home. When the cat, who considers himself a prince of his kind, is given the name Won Ton, he's aghast. "How can I be soup?" he asks. But soup or not, Won Ton and his new owner soon find a way to live happily together.